Corporate clients provide a valuable new revenue stream for higher education institutions. In order to effectively engage them, colleges and universities must implement a number of unique business processes. The Corporate Engagement Manager enables schools to craft unique and differentiated programs for corporate clients, while also ensuring efficient execution and governance. The Corporate Engagement Manager provides powerful contract set-up and configuration tools. It also offers portals for corporate self-administration; one for corporate administrators and a separate one for corporate learners. With the Corporate Engagement Manager, you are able to provide numerous corporations and their learners with a personalized experience. 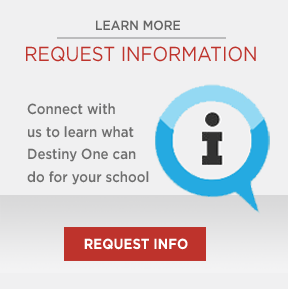 The Destiny One Corporate Engagement Manager is the most advanced solution in the market. It lets schools quickly set-up and easily manage multiple customized learning programs with thousands of learners and provides administrators with advanced tools that improve corporate engagement. Increase revenues, improve strategic relationships with the corporate community and expand beyond traditional markets with the Corporate Engagement Manager. Watch this short 4 minute demo walking you through the Corporate Engagement Manager’s purpose, functionality and uses. Learn how Destiny One enables you to drive revenue, relationships and expansion through scalable and repeatable corporate learning programs. Dissect eight specific requirements that institutions need to master in order to compete and grow within the corporate training market. Use the research presented in this paper to identify and capture your institution’s missing share of the lucrative corporate training market.